SAP Malaysia managing director Duncan Williamson says customer-centricity is core to everything that SAP Malaysia does, which is essentially about empowering businesses to run better while improving people’s lives within today’s digital economy. 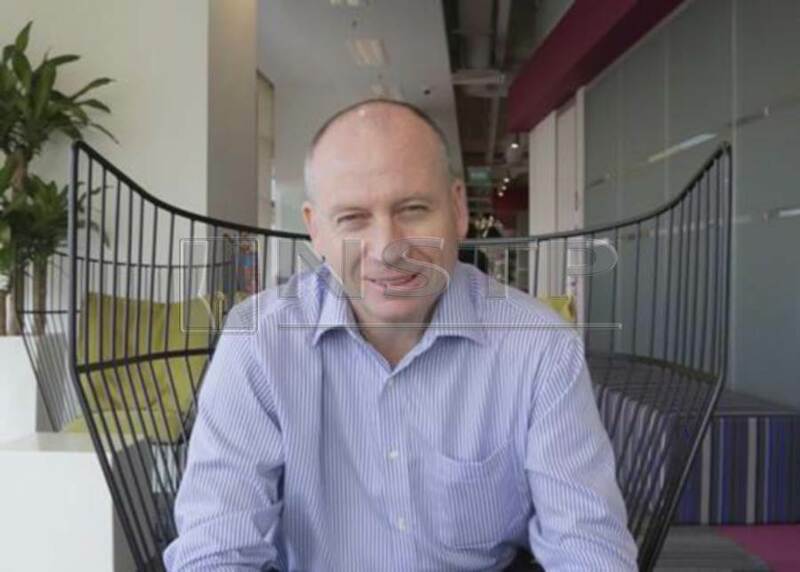 KUALA LUMPUR: Customer experience (CX) continue to be a key priority for SAP Malaysia Sdn Bhd with its managing director Duncan Williamson describing that CX extends far beyond the initial sale process. “Our mission is to help customers get the maximum value from their investments, and our services are also constantly being utilised to customise solutions according to customer needs,” said Duncan. “CX is essentially about optimising business processes to be more productive, and for customers to be able to leverage on SAP’s innovations to realise greater return-on-investment,” he added. With SAP being at the forefront of 25 various industries globally, Duncan said local small medium industries (SMEs) can learn from what he describes as 'industry best practices' such as in making supply chain processes shorter and more effective. Duncan, however, said SMEs should have a clear focus of the desired 'outcomes' and what they would like to achieve, before embarking on technology discussions. “Companies need to be clear on outcomes first because, when businesses understand what they would like to accomplish, they would then adopt the necessary technology,” said Duncan. He added that SMEs must not only think of the present but also anticipate and prepare for the next few years. “SAP B1 streamlines key processes and enables SMEs to gain greater insights into their operations, while empowering them to make decisions based on real-time information,” said Duncan. Through a careful process of analysis, business optimisation and the introduction of innovative techniques, Duncan believes customer expectations can be built up to a high level that ensures return-on-investments. “Customers today can dictate what they want along with when and where they want it,” said Duncan. Besides 'cultivating customers for life', Duncan emphasised his passion for 'SAP to prove our purpose' and in harnessing innovation for the greater good of customers. “Customer-centricity is core to everything that we do at SAP, which is essentially about empowering businesses to run better while improving people’s lives within today’s digital economy,” he said. According to Qualtrics managing director (Asia-Pacific and Japan) Bill McMurray, more businesses in the region are recognising the need to increase their efforts across all customer touchpoints. “Over six in ten (63 percent) of business leaders in Southeast Asia listed CX as their top business priority,” said Bill, quoting a report by Forrester. “International brands that fail to localise their CX programmes will also face increased competitive pressure from Asia Pacific-based companies due to varying customer expectations in different markets,” he added. Duncan said by combining Qualtrics’ X-data and insights with unparalleled operational data (O-data) from SAP software, customers will be in better positions to to manage supply chains, networks, employees and core processes better. “Together, SAP and Qualtrics aim to deliver unique end-to-end customer experiences here in Malaysia and throughout the world,” concluded Duncan.